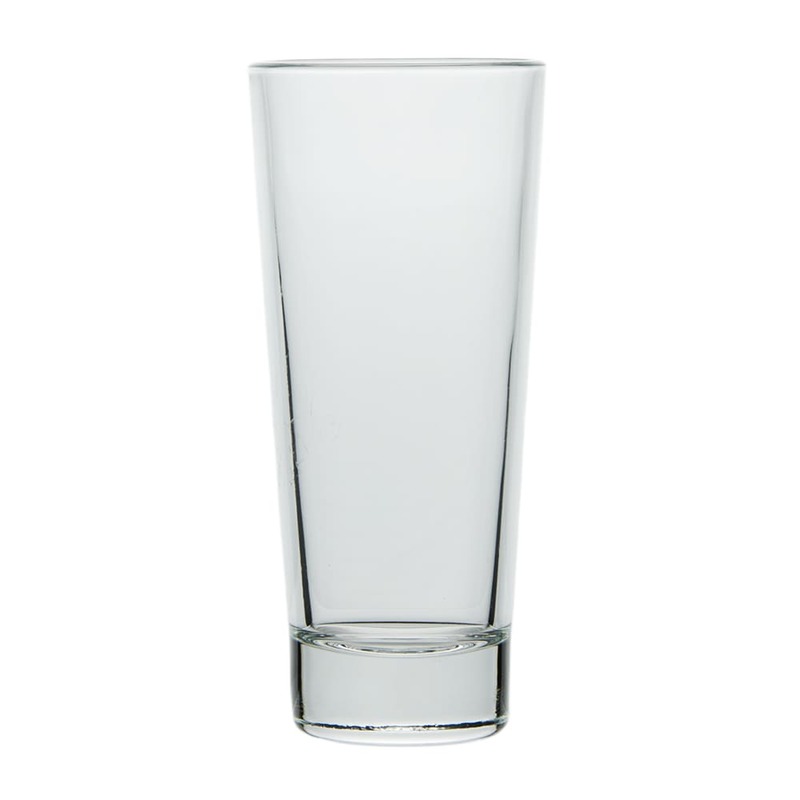 Libbey's 15810 hi-ball glass from the élan series is made in a conical design with straight sides that convey a contemporary, energetic attitude. The glass's 10 ounce capacity makes it a good piece for serving cocktails like rum and cola, Tom Collins, gin and tonic, and others that contain a carbonated component. 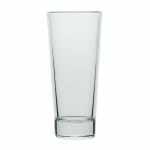 This glass has been treated with Libbey's DuraTuff tempering process that makes the top portion of the glass more resilient to thermal and mechanical shock than untreated glass. Overall Dimensions: 61⁄4 in. H x 3 in. top dia. x 21⁄4 in. bottom dia.